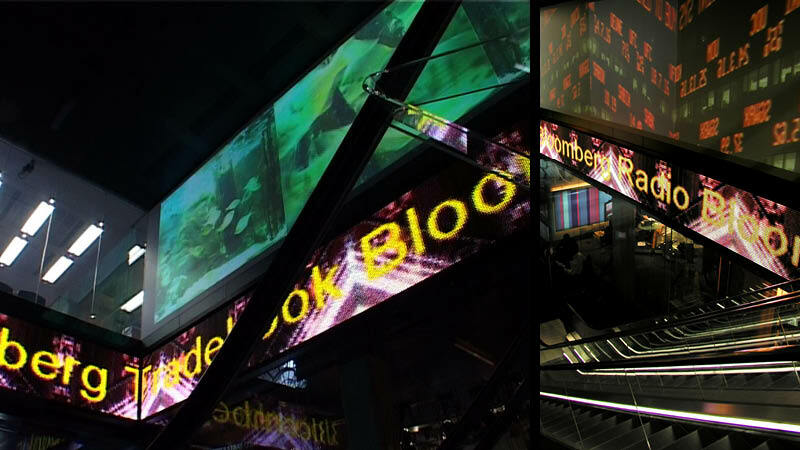 In 2001 The Light Surgeons were approached by Scarlet Projects and asked to produce a visual installation for news company Bloomberg’s London HQ. 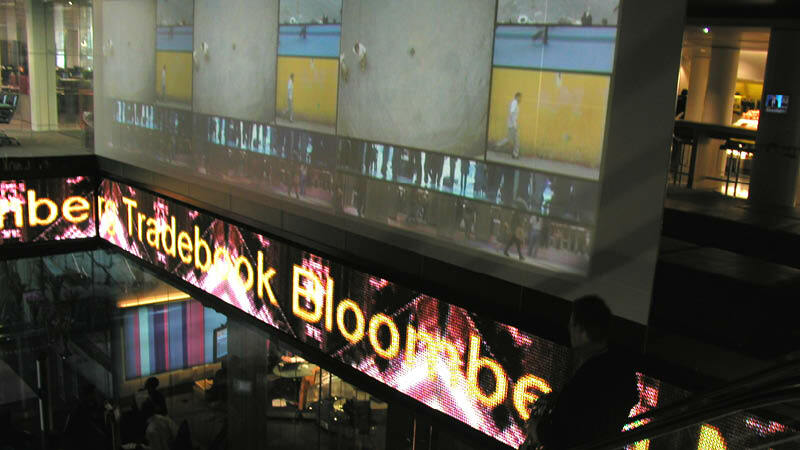 Working in collaboration with architects Powell Tuck Associates TLS designed a three screen video installation and interactive LED ticker display for their reception area, along with a video floor installation on a stair way that joined their two buildings. 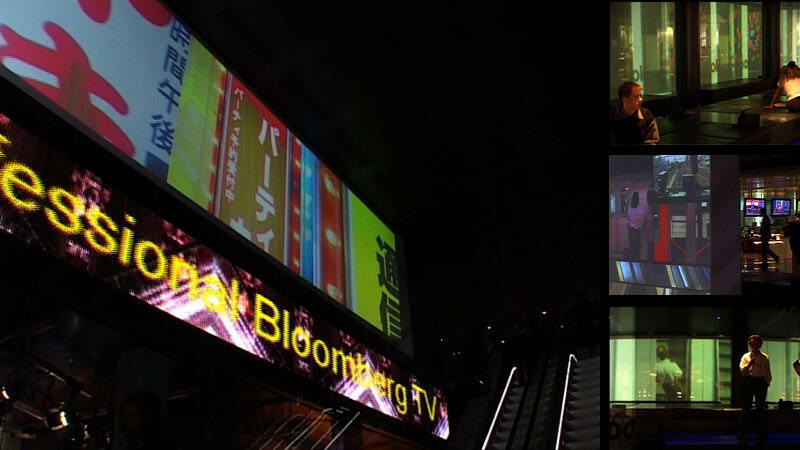 The content for the video piece was recorded during a six week trip, stopping in seven very different cities around the world. 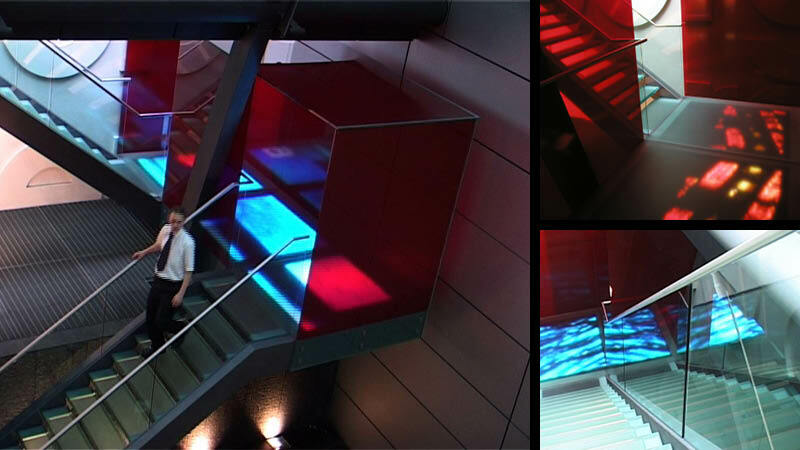 Filming consisted of a series of visual studies focused on the movement of people, stock exchanges and trading, transport systems and the rich architectural environment of these modern metropolises. 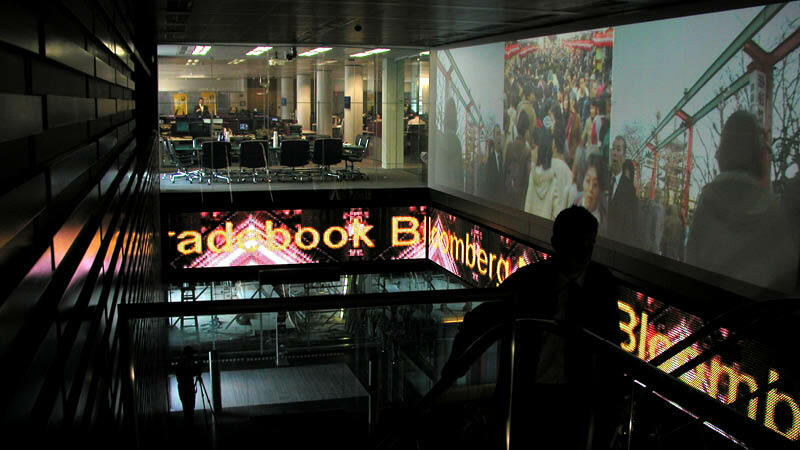 The final films were carefully edited to evolve ambiently across the screens and were filmed in such a way that the people passing the camera in each country appear projected to scale in the space.